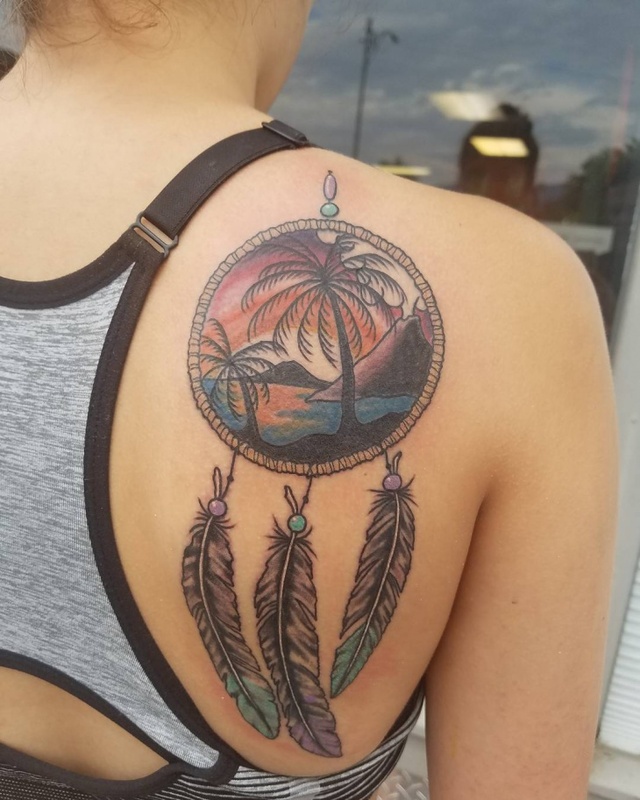 Beach tattoos have become a common sighting among young and mature people. 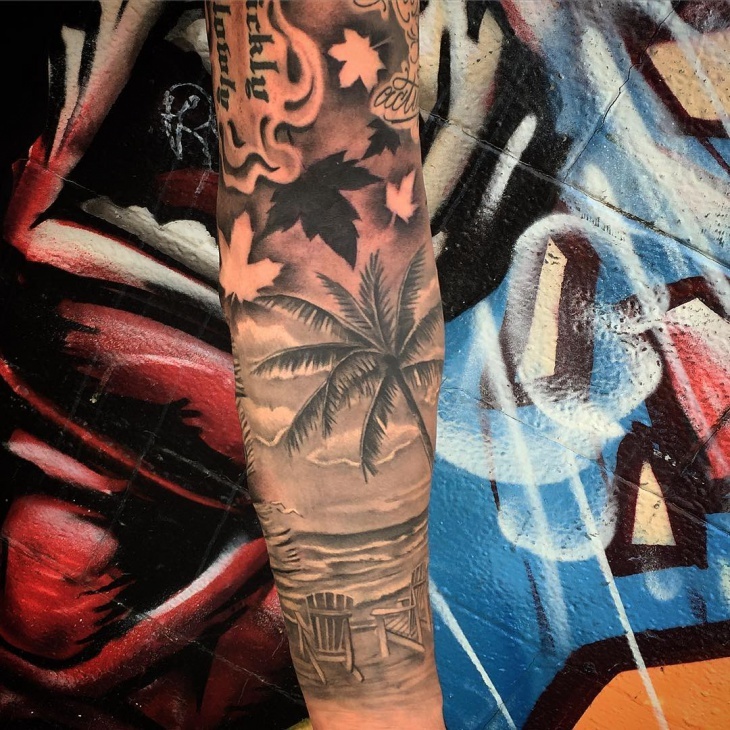 The idea of having sleeve tattoos either as a hobby or as a symbolic meaning has also made beach tattoos trendy. You can use a beach theme to express your love for the scenery or to represent your fun personality. 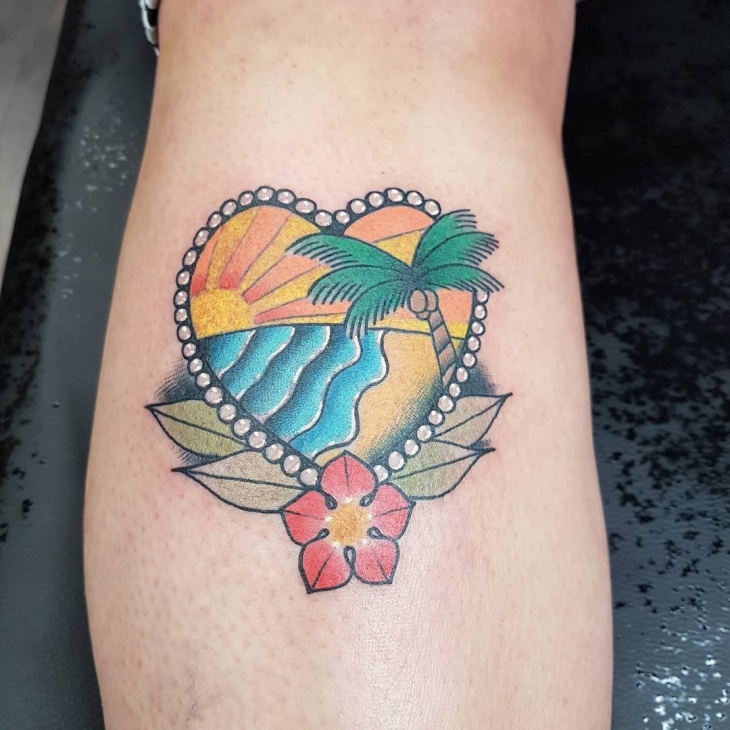 Whether you’re looking for a design with a symbolic meaning or a just a fun ink art, there’s a beach tattoo that you will love. 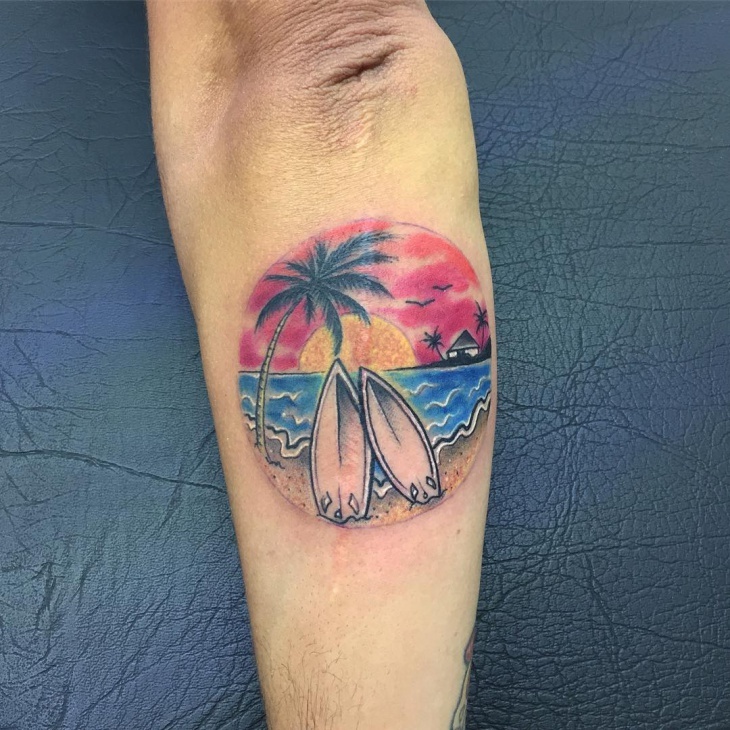 The best way to save that special beach memory that you don’t want to forget is to get a beach tattoo. 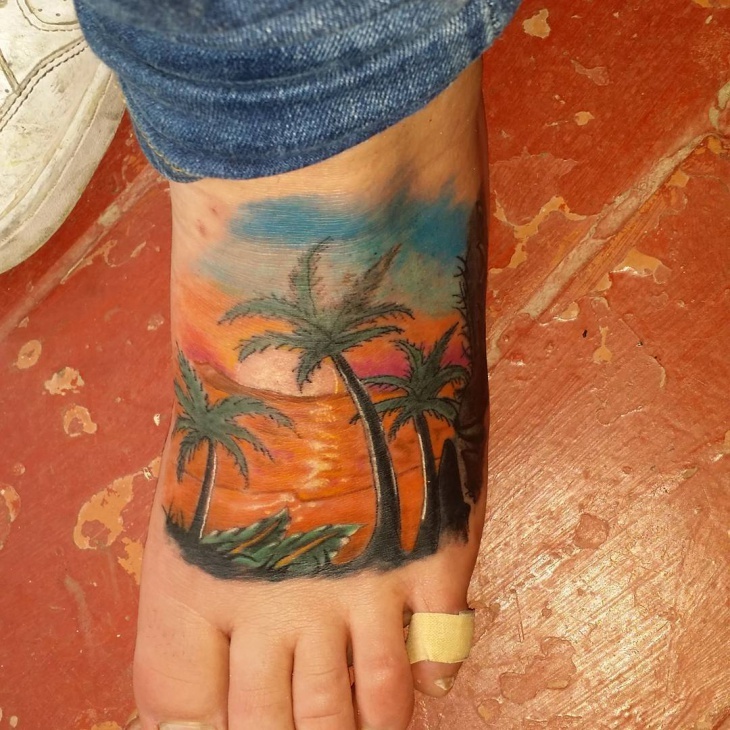 Placing the beach design on foot makes it easier to either go for a large or small size tattoo. 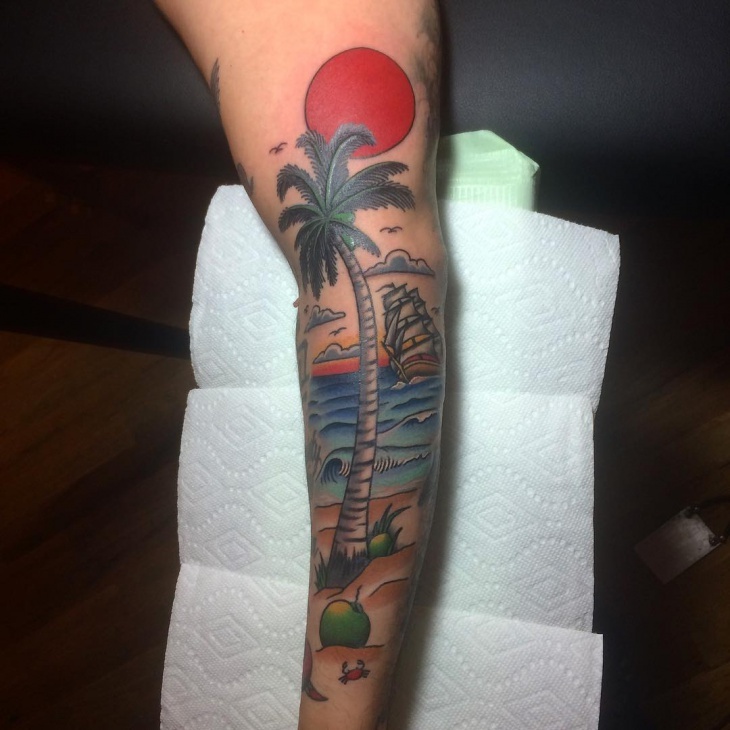 Palm tree tattoos are perfect for portraying a beach scene. The blank ink on this design is suitable for both male and females of any age group while the intricate design and size will look good on your sleeve. Are you looking for a piece of art that will give you a ton of compliments? 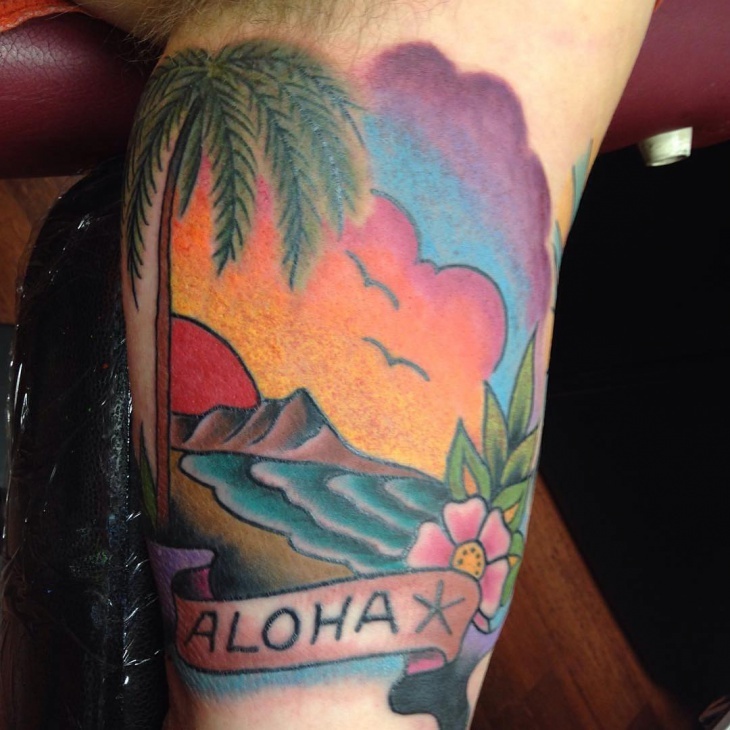 Then go for a colorful tropical beach tattoo design that compliments even dark skin tones. Add a ship and ocean waves to make the design authentic. 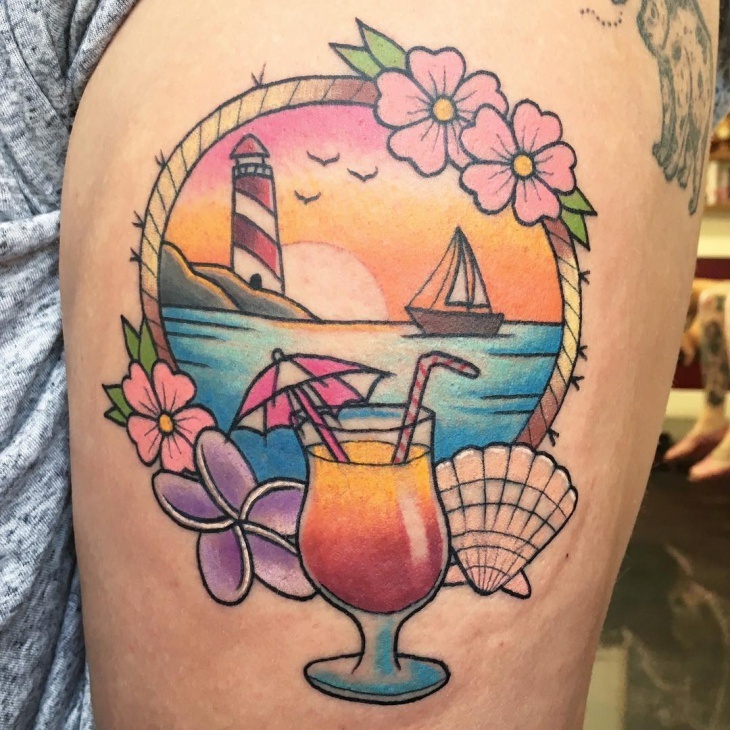 Going to the beach or a sunny vacation will always leave you with a fun memory that you can ink on your body. Ladies will love this tattoo because apart from incorporating different vibrant colors it also has flowers and seashells. 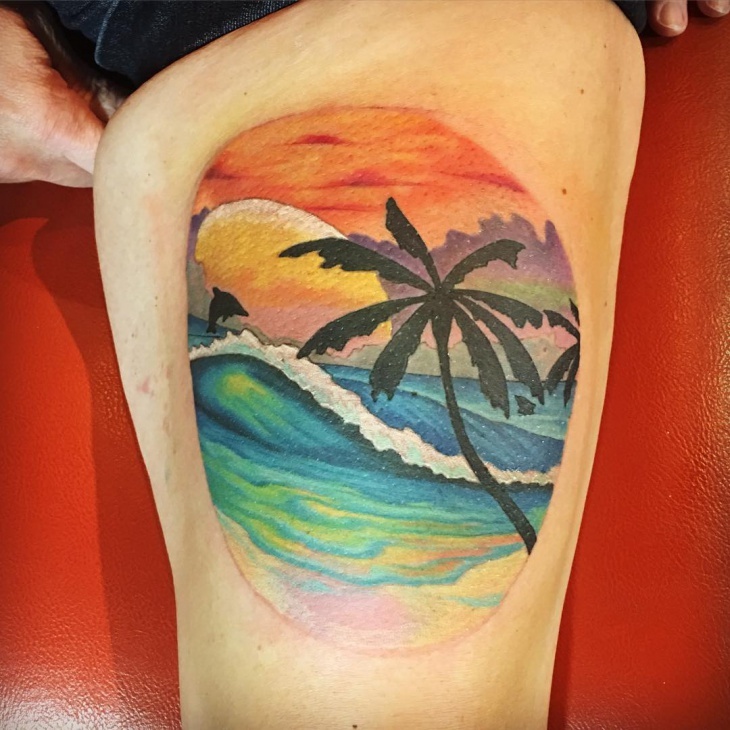 This colorful tattoo takes a beach design to a whole new level. 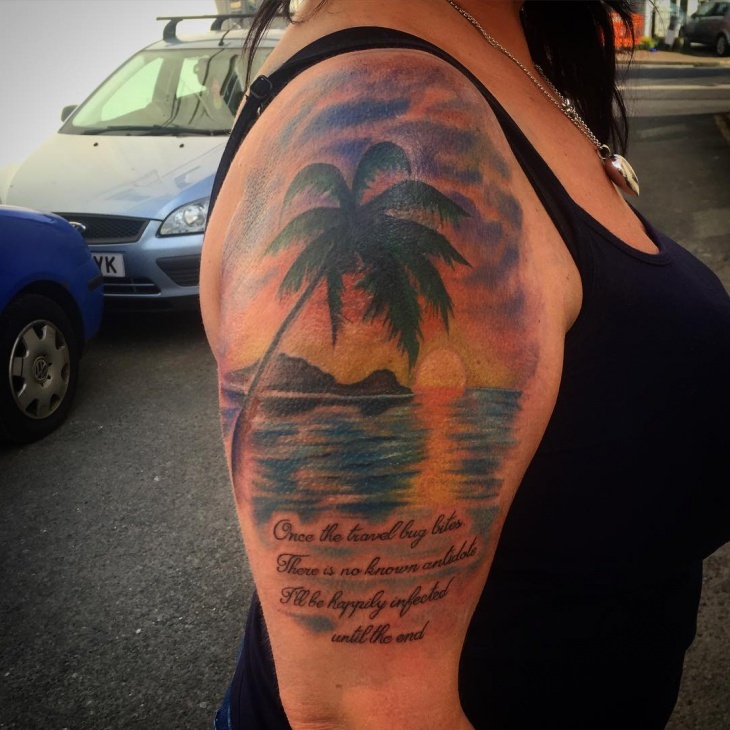 The beach scene combined with texts is simple but beautiful enough to make this tattoo stand out. 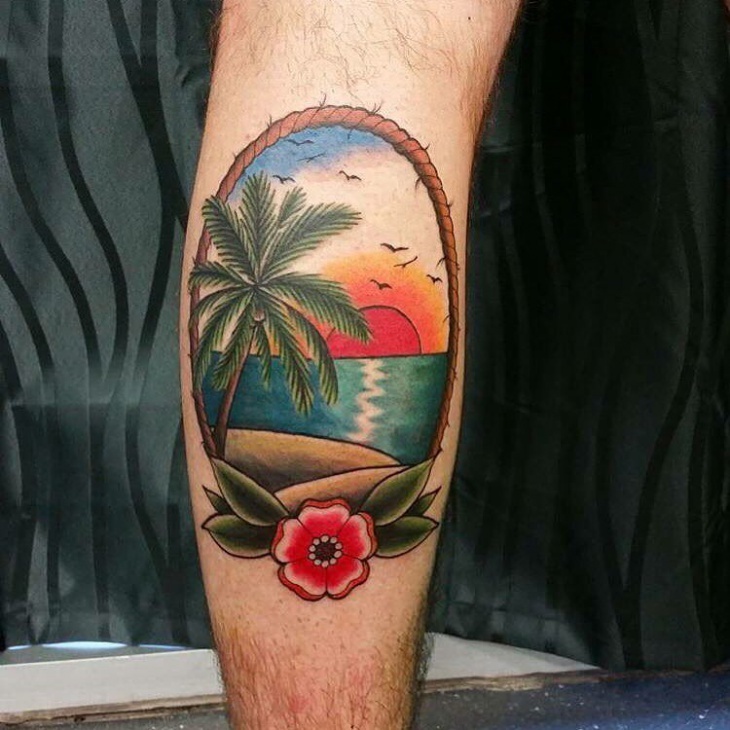 Combine different elements of the beach to give your tattoo an edge. This black ink captures the true essence of tranquility that any beach scene offers. 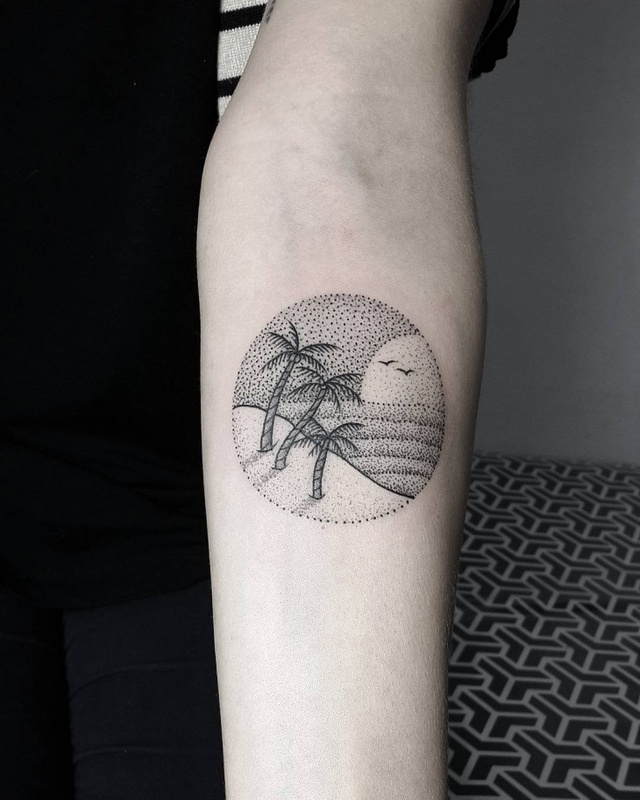 The palm trees were beautifully etched on the skin while the wave looks so real that you’re bound to get compliments from tattoo lovers. 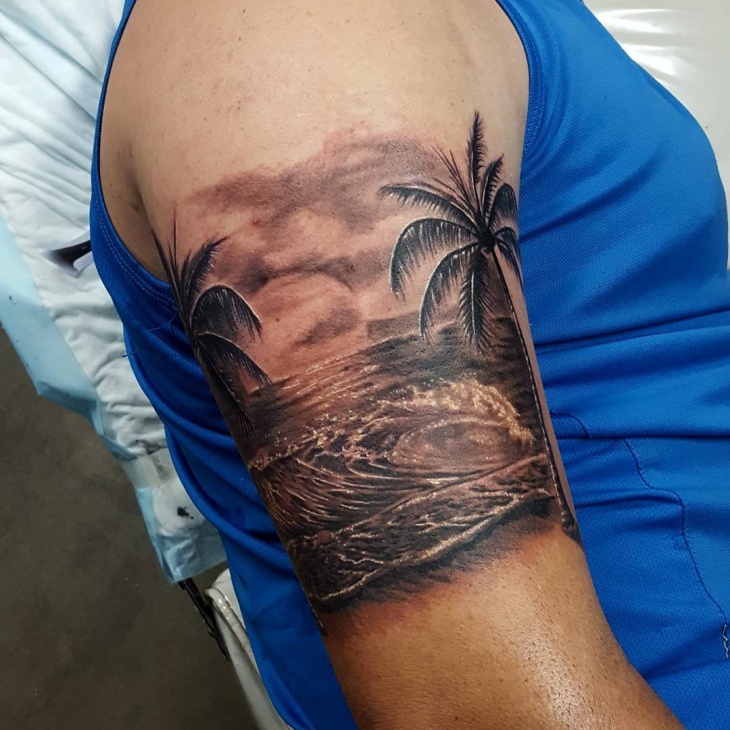 This beach wave tattoo design proves that you don’t need to go to the beach to get a glimpse of the beach life. The vibrant colors in this design are not only stylish but also symbolize a fun and unique individual. Do you wish to have a beach wedding? 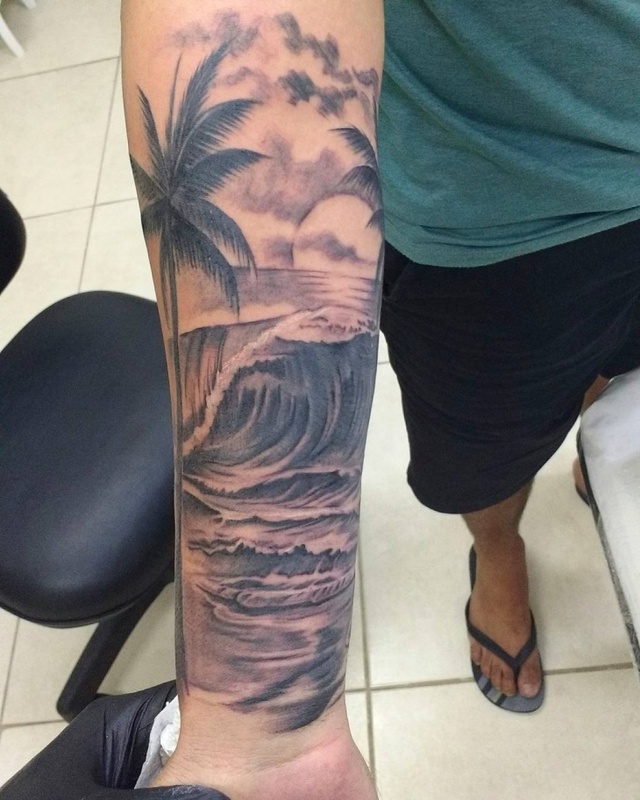 Or you just want to symbolize surfing on the beach. 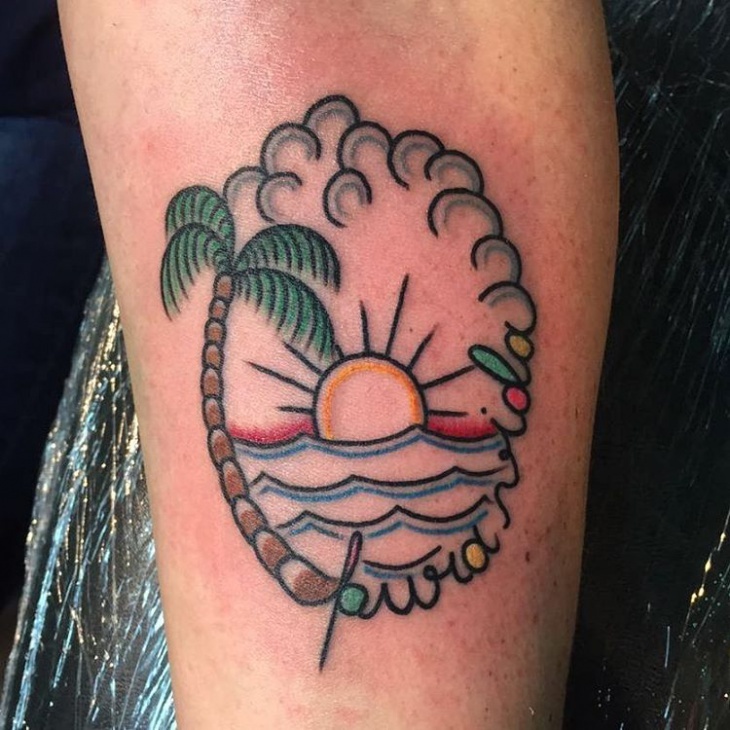 Then use a beach tattoo to remember that special occasion or someone who made it happen. 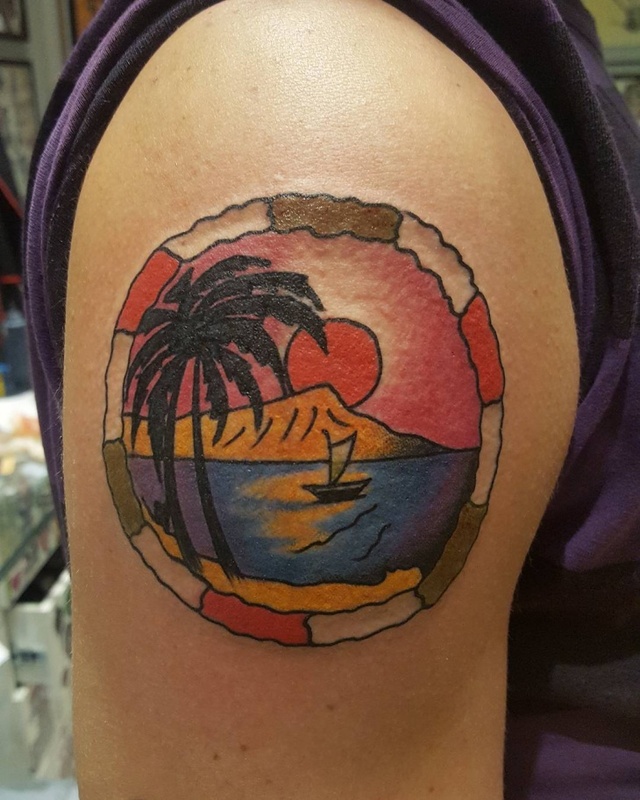 Placing it on the elbow shows mystery and uniqueness. 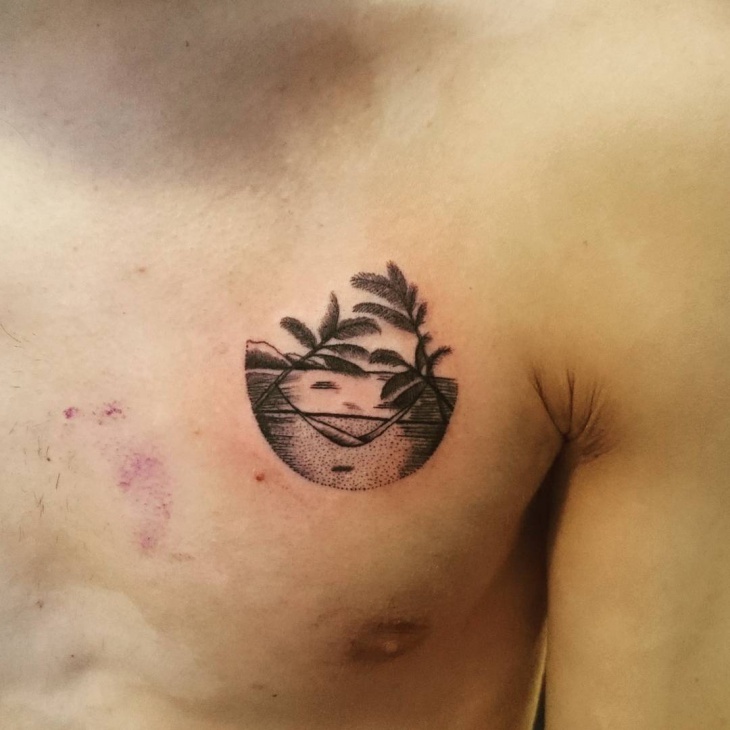 When in doubt about a place to put your beach tattoo, then have the design inked on your chest. 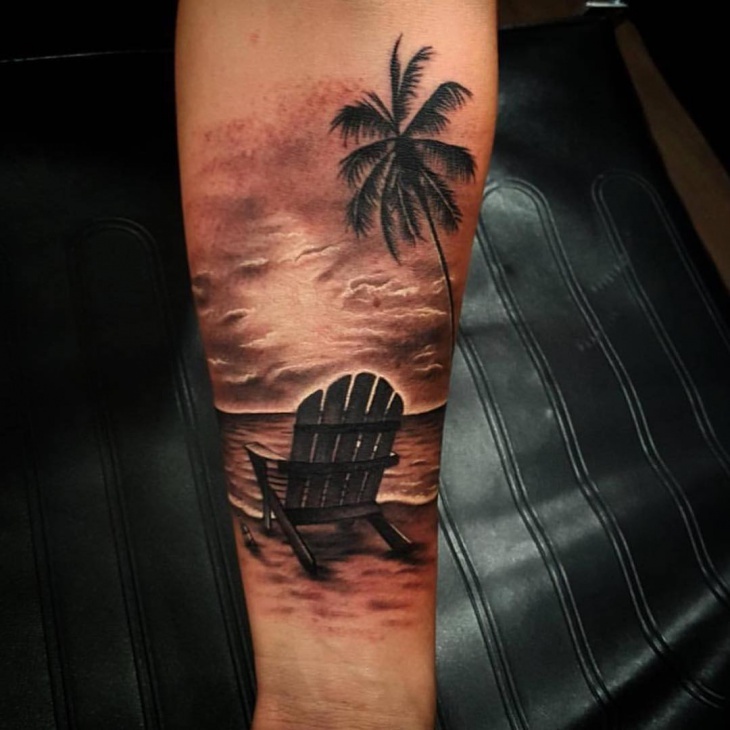 Opt for a simple design that uses black ink color while incorporating all the essential elements of a beach environment. 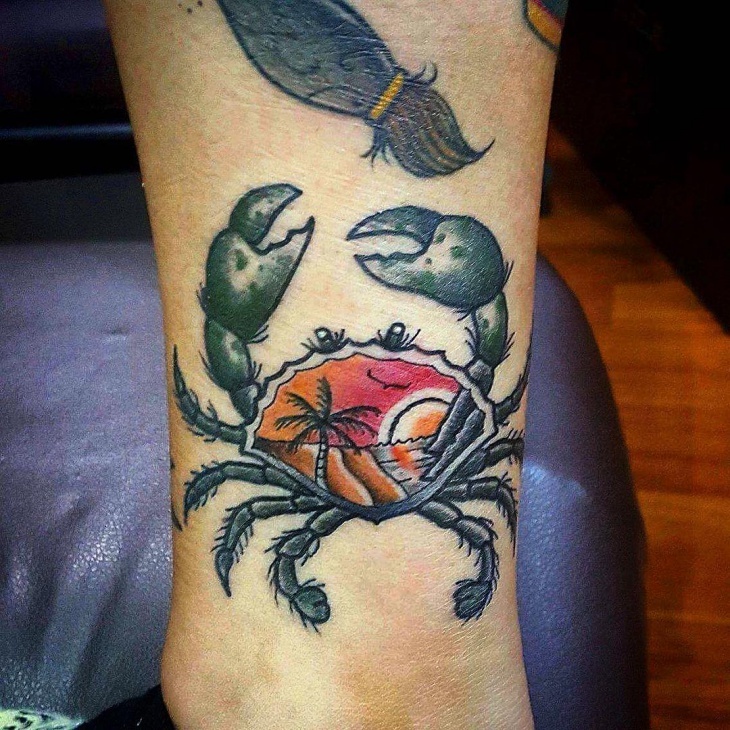 How to determine if you’re ready for a tattoo? Sometimes people tend to get permanent tattoos and later regret. So do extensive research on both the tattoo artist, the meaning of your tattoo and whether you’re skin is sensitive to the ink. One of the primary symbols of a beach scene is the sun. 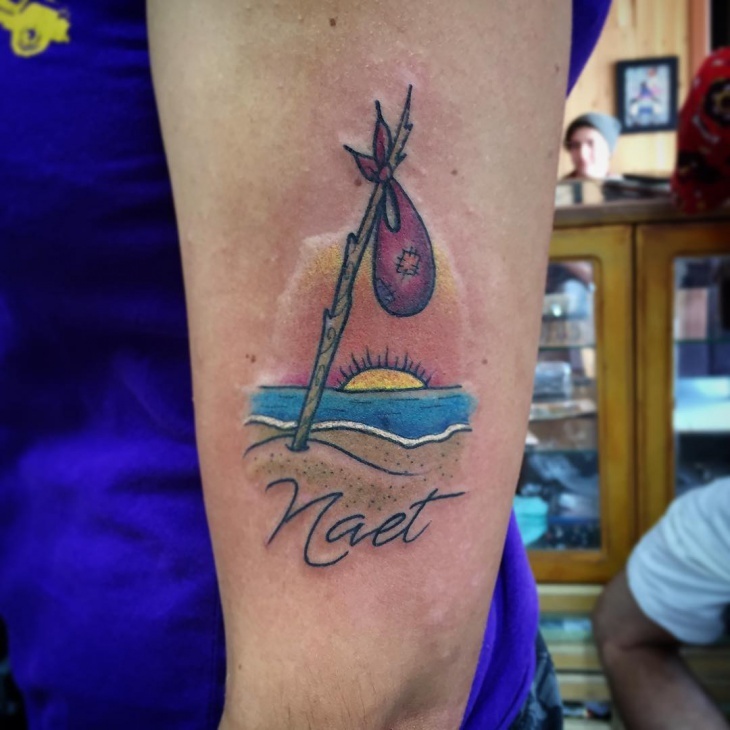 Polynesian tattoos tend to incorporate the sun as a symbol of a new day or rebirth. 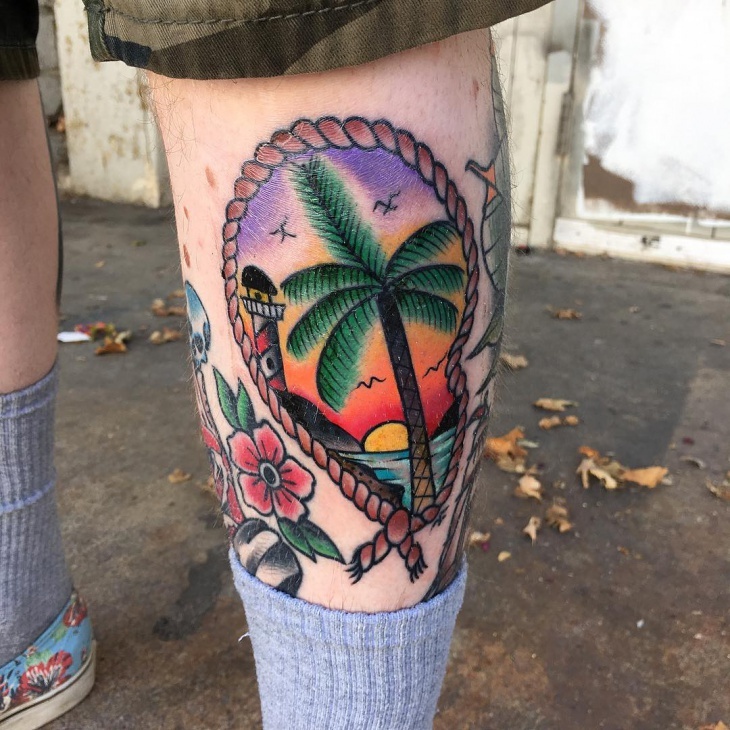 You can, therefore, add different elements such as a boat to a beach tattoo to portray your love for the beach environment or to symbolize a deeper meaning.